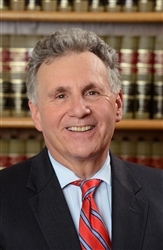 Allan E. Silver is a Partner at Abrams, Fensterman, Fensterman, Eisman, Formato, Ferrara, Wolf & Carone, LLP and is a member of the firm's Health Law, Trust and Estates and Guardianship practices. Mr. Silver has more than three decades of experience in health law and has represented numerous hospitals, physicians, nursing homes, home health care agencies, and other providers of care. He handles a range of health law matters, including numerous regulatory, licensing and compliance issues, as well as issues concerning the admission, treatment and discharge of patients in medical and psychiatric facilities. As a member of the firm's Trusts and Estates practice, Mr. Silver is actively involved in all aspects of estate litigation. Mr. Silver is the co-author of a chapter of the Guardianship Practice in New York State, a New York State Bar publication. He has been a frequent lecturer for the New York State Bar Association regarding issues concerning the admission, treatment and discharge of patients in medical and psychiatric facilities. Mr. Silver also has lectured to judges and law secretaries regarding issues involving the retention and treatment of psychiatric patients. He has appeared in court on behalf of providers throughout New York State, and has successfully appeared and argued before the Appellate Division of the First and Second Judicial Departments. Mr. Silver is a member of the Nassau County Bar Association's Hospital and Health Law Committee. He also is a member of the Health Law, Elder Law and Trusts and Estates Sections of the New York State Bar Association. Mr. Silver has received the highest ("AV") rating from the Martindale-Hubbell Rating System for attorneys, signifying legal ability of "very high to preeminent" and ethical standards of "very high". Mr. Silver received a B.A. from Boston University, an M.S.W. from Virginia Commonwealth University and a J.D. from St. John's University School of Law. He is admitted to practice in New York and the United States District Courts for the Eastern, Western and Southern Districts of New York.